I was going to publish a post today about how I was looking for a reader-inchief at the White House, but things have just gotten way too messy in the country to even focus on literature at this minute. For the past two days, I’ve been protesting Trump’s Muslim Ban executive order at San Francisco International Airport, where people from seven Muslim-majority countries are being detained. This executive order suspends the U.S. refugee resettlement program for 120 days with exceptions; suspends the admission of Syrian refugees indefinitely; and suspends the entry of lawful permanent residents, refugees and nonimmigrants from Iran, Iraq, Libya, Somalia, Sudan, Syria and Yemen for at least 90 days. Xenophobia and Islamophobia in this country has reached new, horrendous heights and we can not idly stand by. Instead of my usual posts about books and literature, I’m reposting a list of things to keep in mind created by Prerna Lal, a queer Indo-Fijian lawyer in the U.S.
2. A federal district judge in New York has stayed the Executive Order. 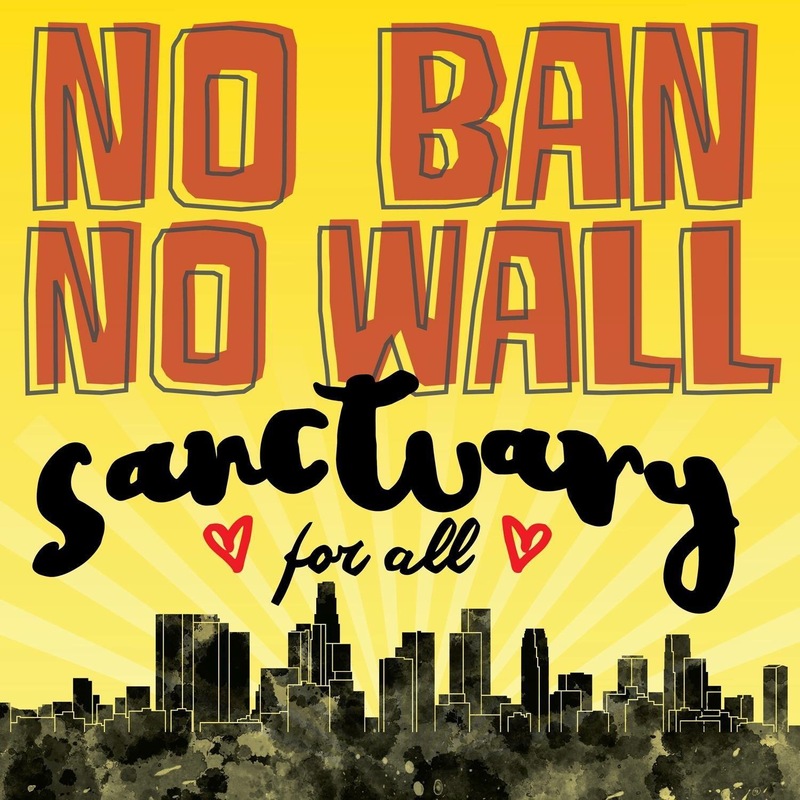 The stay is temporary but effective immediately and nationwide, and is an order to CBP to not remove people under the Executive Order (and should also extend to those who are trying to enter the U.S.). If your non-citizen family or friends are traveling from countries that have been designated on the list (Iran, Iraq, Libya, Sudan, Somalia, Syria, Yemen), tell them to print out a copy of the stay order and carry it on them: http://documents.latimes.com/deportations-stay-trump/. If non-citizens continue to be harassed, detained, interrogated, tell them to make copious notes and get names and details of how long they waited, what happened, who they spoke to and precisely what was said. Keep demanding access to counsel and not sign anything. Lawyers for other families who are detained can use the pleadings filed in the New York case so they do not need to reinvent the wheel. 3. Anyone who holds a passport from a designated country is considered as being “from” the designated country. This includes dual citizens who hold passports from a designated country, as well as a non-designated country. 4. For lawful permanent residents, DHS is admitting people on a case by case basis, following additional and invasive screenings. Any green card holders from designated countries should make sure not to sign the I-407/Record of abandonment of lawful permanent residence. CBP officers often coerce and deceive people into doing this as a condition of release from detention. If detained for extended periods, people should similarly, take notes, take names, ask for their lawyer, ask to speak to the Congressional representative, and demand to see an immigration judge. 5. People from designated countries, even dual nationals, should try to not travel abroad at this time, unless one absolutely must. Reports indicate that people abroad are not being allowed to board airplanes (even with visas) and even visa interviews for citizens of these countries have been canceled (with the exception of those who hold diplomatic visas). If you know who your representative is but you are unable to contact them using their contact form, the Clerk of the House maintains addresses and phone numbers of all House members and Committees, or you may call (202) 225-3121 for the U.S. House switchboard operator. 7. For those persecuted in their home countries or fear of persecution in countries CBP would return them to, individuals should speak to their lawyers to discuss claims to asylum and demand a credible fear interview at ports of entry. 8. There are some rumors that USCIS will stop processing applications for naturalization, work permits, travel permits, green card renewals, and other immigration benefits for people from these designated countries. We are waiting for an official announcement. This is very clearly outside the scope of Presidential authority and the executive order, and will lead to many more lawsuits. NY Times. If you have been impacted by this Executive Order, willing to share your story with the media and public, the New York Times is asking for those stories to be shared with them via email to immigration@nytimes.com. There are many other outlets looking for stories of people who have been impacted. 10. For everyone else, see you at the airports!